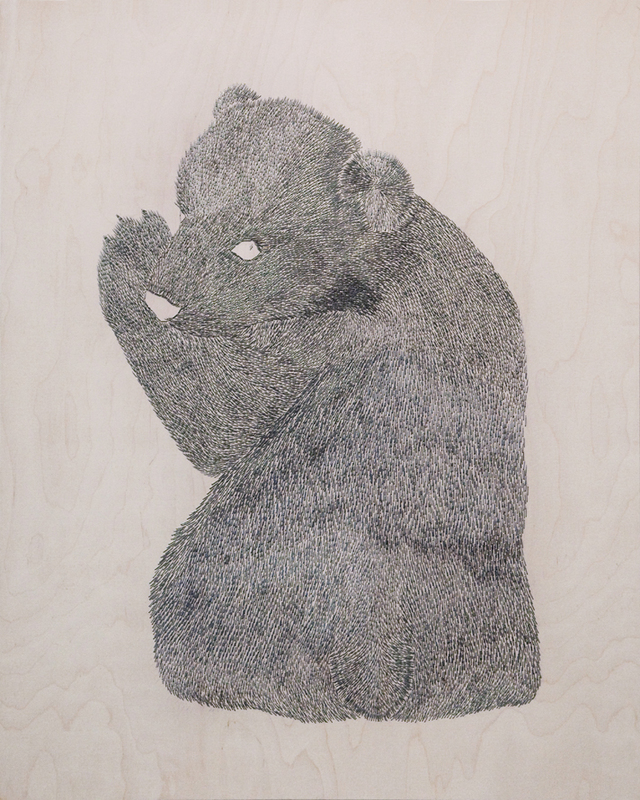 The staple bear is titled Black Skin I and Black Skin II. 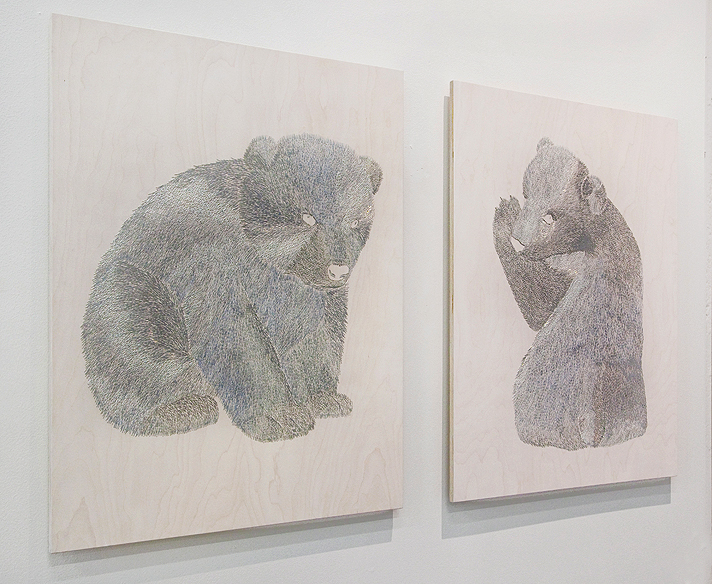 It depicts Polar Bear cubs which skin is actually black underneath the white fur. Black skin as an invisible yet elementary energy conserving feature of this particular endangered species in its otherwise white and melting world. Black Skin I, Black Skin II. 2012. 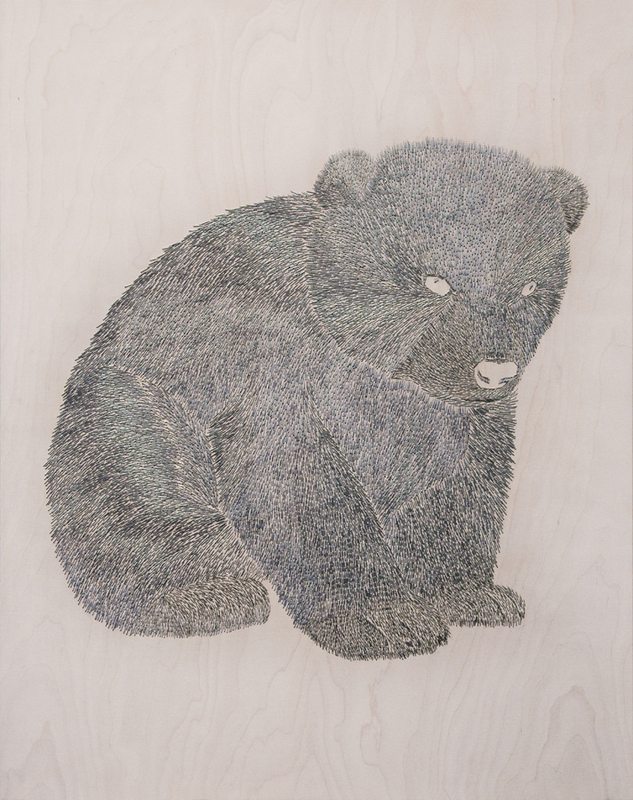 Metal staples on birch wood, 80 x 100 cm.